Today’s article is about social media and mental health. This article is written in a more casual style, so it has some informal expressions we can learn. You can read the original article by clicking on the link in the video description, and I’m going to teach you 15 words and expressions from it. Also, if you want to learn 500 real English phrases to use in different situations, sign up for my e-mail lessons. The introduction of the article says that using social media can cause anxiety that’s related to FOMO – this stands for “fear of missing out” – in other words, being sad that you’re not having the good experiences that other people are having. A new study has confirmed that excessive social media use – excessive means a huge amount, too much – causes depression and loneliness. Scientific confirmation of this fact had been elusive – elusive means difficult to find. Previously, it was clear that social media and depression are related, but it wasn’t yet proven that social media causes depression. This new study, however, puts the nail in the coffin. That expression means it definitely confirmed something negative. The researchers split people into two groups – split means divided. One group could use social media for just 30 minutes a day, and the other group could use it as much as they wanted. The results were crystal clear – that means extremely clear and obvious. People experienced less depression and loneliness when they cut back on social media. The phrasal verb cut back on means reduce. The lead psychologist said, “here’s the bottom line” – the bottom line is the essential, most important result after all the factors have been considered. Less social media leads to less depression and loneliness. She added that the effect was more pronounced for people who were more depressed before the study. More pronounced means stronger or more obvious. The psychologist stressed – that means she emphasized – that the point isn’t to quit social media cold turkey. If you quit something cold turkey, it means you stop using it suddenly and completely. Instead it’s better to limit the time you spend on social media. But staying off social media is no walk in the park – this means it’s not easy. The rest of the article gives some suggestions for developing a mindful relationship with social media. Mindful means being aware and conscious, paying attention. One suggestion is to avoid following people who make you feel bad about yourself, such as ego-driven people. Ego refers to the part of a person’s mind that is only concerned with oneself, and may be a bit arrogant. And driven in this context means motivated. So when using social media, don’t follow people who are motivated by arrogance or who only care about themselves. That’s all for this week’s “English in the News” lesson! I hope you enjoyed it. 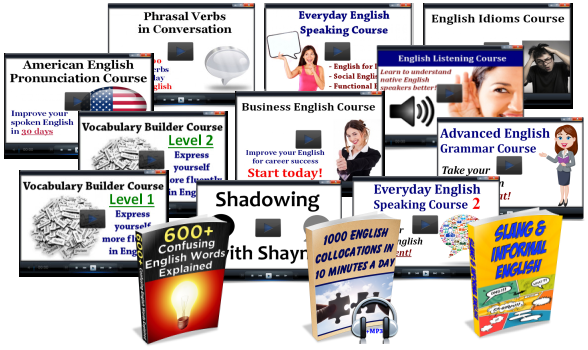 You can visit EspressoEnglish.net if you want to join one of my online courses focusing on speaking, listening, pronunciation, phrasal verbs, and more. Bye for now!